You have thousands of ideas racing through your head. You want to start side a business but you have so many ideas you don’t know which one to pick. And, on top of all that confusion you’re a bit scared to get started. You don’t like people judging you and your work but you also know that criticism is inevitable once you put yourself out there. I know you sometimes feel like this because I do, too. It’s kind of scary to put your thoughts out there for the whole world to see. To lay your ideas out on the table for others to judge and pick apart. To put your everything into a business that might fail. You are your biggest obstacle to business success. The problem is you really only have two choices. Do it or regret it. One of my biggest hurdles to jump in the world of online business was that I was scared to be criticized. When I first started getting comments on this blog I almost didn’t want to read them because I thought it would be someone telling me how stupid or wrong I was. When I first started trying to find freelance jobs I was also scared of the rejection. It stung when I was told no or wasn’t the right fit. It was almost enough to stop me dead in my tracks. I also knew that being scared, or fearing rejection, was the first and most important obstacle that I’d have to overcome. 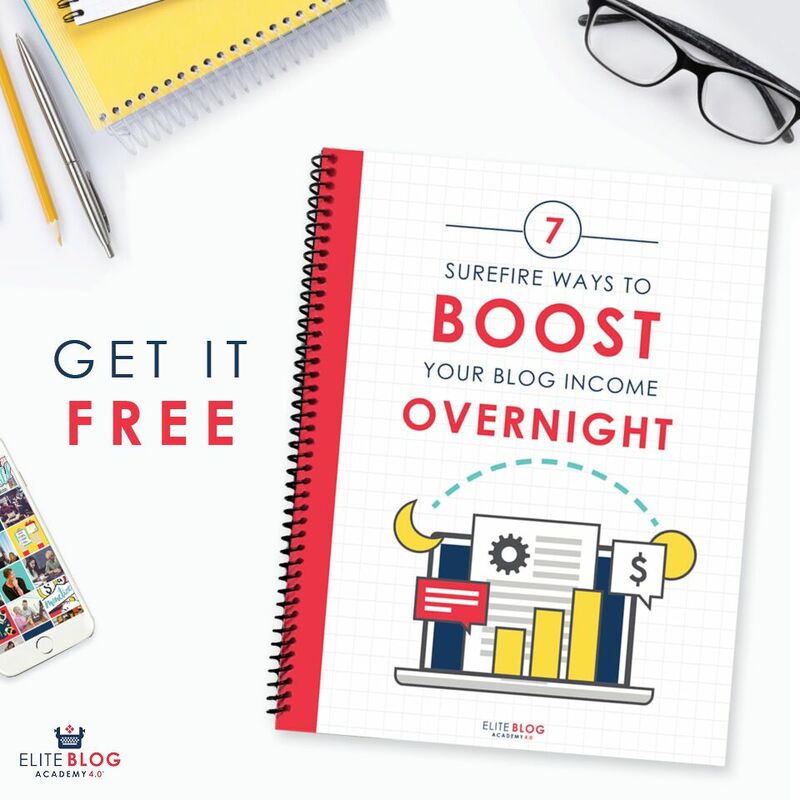 I wanted to eventually quit my job and I knew that many, many other people were making money online through blogging and writing. I knew that if other, regular folks like me were doing it that I could do it too. The only barrier to getting started with an online business is you. It’s okay to be scared. It’s okay to not like being rejected. It’s not okay to let those fears stand in the way of you doing something that you really care about. Coming from the queen of inexperience, no college degree, no special education – just a little ambition and a couple hours of free time a night, I know that if I can do something so can you. Inexperience never got in my way of blogging. It’s a kind of learn as you go type of thing. I mean after all, you don’t see people getting a four year degree to learn how to blog. However, inexperience did bother me in the world of freelance writing. At times I wished that I would’ve gotten a Strategic Communication Management degree so that I would be prepared for this field. Writing is such a competitive field and here I was an insurance agent with a high school diploma – how would I compete with all these writers with four year degrees? I decided to try it out anyway. I had gotten a couple compliments on my “writing style” from blog readers and that made me think – maybe, just maybe I can earn money writing. And, once I get an idea in my head it pretty much stays there so I did my research. I discovered Carol Tice, a six figure earning freelance writer who writes for numerous high profile publications, who had no college degree. She had to start from somewhere too. I thought surely if she could work her way up to six figures per year that I could do it, too. And, so I began. With time I started to write better and understand my client’s websites a little better so that I could provide them useful, quality posts. Now in the past few weeks I have actually had people coming to me asking me to write for them instead of vice versa. Now that I’ve overcome the inexperience and fear, my biggest setback is wanting to do too much. I have so many ideas floating around in my head at any given point of time that it’s sometimes hard for me to sort them out. That’s okay though. I’ve come up with a little strategy. You’ve got to set up building blocks. The first thing I did was start this blog. Through this blog I formed friendships with others and got my name out there. When I applied for writing jobs I always linked back to my blog. I’ve also had a few clients find me directly through Single Moms Income. Without this blog I don’t think I would’ve gotten many writing jobs. I also don’t think I would’ve purchased Defeat Our Debt or made my recent blogging goals. The friendships I’ve made through this blog kind of fuel my fire to venture out and try other things. Right now I need to concentrate on earning my minimum $2,000 per month to get by. This means focusing on writing and this blog. With time though I’ll be able to venture out and focus more on developing other websites. I keep the ideas fresh in my mind and execute as I see fit. I may not be able to tackle all of my ideas now but eventually I will. One of my absolute favorite quotes is “In a year from now you’ll wish you had started today.” That couldn’t be any truer. In my experience it takes almost a year for my ideas to actually pan out. If I hadn’t started this blog nearly a year ago then I’d still be sitting in an office bored out of my mind and fighting off sleep. Even if you take a small step in the right direction it’s still a step. If something has been on your mind and you feel like you need to execute, do it today. In a year from now you’ll be glad you did. What’s holding you back from taking the first step on your big idea? Good Morning, I truly believe your post was an “on-time” post for me. I struggle with everything you are speaking of. I am a single mom seeking to create multiple streams of income for my children and I. I want to blog and freelance write, but in the back of my mind “what if I fail?” is the question I ask myself. Yet, knowing that you once battled with a similar question, gives me the courage to take the next step, which is purchase my domain name and start blogging. For some reason in my mind, everything has to be “perfect,” before I start. After reading your post, I believe I am creating unnecessary obstacles which is blocking me from obtaining my goals. Thank you so much for being transparent. Be Blessed and Make it a Grateful Day! Thank you for the comment Tawanna! Nothing has to be perfect. The important thing is that you just get started. It’ll definitely take some time for you to build up those multiple income streams. It took me about a year but all of sudden everything just fell in place. The good thing though, is that you’ll have plenty of time to learn what works for you and what doesn’t. Good overview of roadblocks that are keeping people from succeeding. I think inexperience can be solved by just getting started. Despite having started a few blogs before Y.A.M. and even working for a blog for some time, I have learned a ton the past year or so after I finally started Y.A.M. I continue to learn things every single day and slowly move towards my goal of creating a full-time income from websites. I agree. I have blogged in the past but I have learned so much from this blog and continue to learn on a daily basis. The important thing is to just start. You can learn as you go. Everyone has thought about starting their business at least once. The biggest key is to take action. Don’t worry about every little detail or getting everything perfectly right because nothing ever works out perfectly anyway. Just get started and see what happens. I agree! Nothing is ever going to be perfect. That’s sometimes a hard pill to swallow but it’s reality. What you’ve written is so true. I’ve just begun my baby steps to a writing career with a blog that my friends and family really like…now if only the rest of the world would stop by. I can’t wait to see where I am a year from now. I’ll keep visiting your site and learning. Thanks. I completely agree with Christie. I’ve checked out your blog a few times now and you are definitely an amazing writer! No doubt you’ll do awesome as long as you stick with it! “In a year from now you’ll wish you had started today.” I love that quote! I can’t remember a single time I’ve regretted trying something, but I can remember many times I’ve regretted not trying. Action is the most powerful antidote to fear. Me too! I’d rather try something and fail rather than not try it at all! That was my huge take home point from Fincon and Jesse Mecham’s lecture. When he started his online business, he had no idea what he was doing a few years later, he makes a killing. His point was to just get started and you can adjust and improve as you go. Things are constantly changing, especially in the online world. So, its not just beginners who have to learn as they go it’s all of us. Getting started is the hardest part but it’s easy to gain momentum after that! Thanks for this. I realize sometimes the only person that’s holding me back is me. I use time and money as my excuse. Well, I do think you need to be smart about what you invest in (re: education, materials, etc.) but sometimes there are workarounds. I try to think big but perhaps I need to think even bigger. You definitely need to be smart about what you invest in but nothing is gonna work out perfectly. Sometimes it’s our biggest failures that we learn from the most! What a fantastic quote, Alexa. I think I need to write that on my bathroom mirror. I’ve been putzing around with a side business for a while, but I have been reading a lot of inspirational posts this week specifically around starting. I’m aiming to launch by EOY. Thanks! It’s definitely one of my favorite quotes because it’s so true. You’ll regret not starting something in a year from now but it’s very unlikely that you’ll regret having started something. Couldn’t agree more. I’ve been working on side projects and have a million ideas daily, but most importantly, I have taken action. Action leads to failure which leads to results. Love it too! Haven’t heard that one yet! Even though I’ve already started blogging, I still see myself putting off a lot of great opportunities because I feel I don’t have enough experience yet. However, tonight I’m in a great get things done mood, so I’ll be sure to get started! It’s so cool that you’ve been able to grow from working at a boring office job every day, to doing what you love and getting paid to do it! My biggest problem is that I’m afraid of rejection. That’s why my blog is anonymous and I don’t tell my friends about it. I’m afraid they people will think it’s stupid and judge me… I may be standing in my own way. I don’t tell my friends or family about my blog either 🙂 Well, about 4 family members know but they don’t read it. For some reason I feel self conscious if my family reads my blog so I don’t tell them. I definitely know how you feel there! I still hate rejection too but I’ve also come to terms with the fact that it’s inevitable. “Start now” is probably the best advice anyone can receive. “Stop reading and start doing” is what the big pro bloggers advice us to do and it’s something that clearly stopped my from achieving my bigger goals. I used to be one of those people who read about how to do things all the time. (Well, really I still do.) The only difference now is that I take action on the advice I read. Action works wonders! Have really enjoyed reading your blog. I have been afraid of sharing my blig with family and friends for fear of their criticism. Thank uou for giving me a push. I gotta be completely honest with you. I don’t really share my blog with my friends and family. For some reason I am really self conscious when my family reads the blog. I’ve told a few of them and they could easily find the blog if they wanted to, but I don’t usually go into specifics. I also didn’t want my old boss to read about me complaining about my job 🙂 so i kind of kept it on the down low. But, if sharing your blog with your friends and family is important to you I say go for it! I think one of my roadblocks to getting things done also includes a lack of motivation. After a terrible day at work, all I want to do is watch TV reruns. But giving oneself a different perspective and how a terrible day at work may not be that terrible can make me get motivated again to accomplish my goals. Thanks for posting this! That is so true! For me though having a terrible day at work was my motivation. I desperately wanted to make this whole writing blogging thing work so if I had a particularly bad day at the day job I would push myself even harder to find more online work. Awesome post, and spot on. I think what’s holding me back is both fear and inexperience.. but mostly being scared and not having much confidence in myself. I know it’s something I gotta keep working on to overcome! You should definitely have confidence in yourself Kali! Especially with the writing thing. I, for one, think you are a pretty awesome writer and have tons of potential! I so do agree about starting something right now, regardless of the fact that one may or may not be ready. One will quickly find that they’ll get ready quicker when the pressure is on so to speak! Well said. Being scared is a big one. Especially in the online world, we should train ourselves not to take everything personal. Yes, easier said than done! But with time I do think it gets easier to not take things so personal. Hi Alexa, I’m Ross. I found your great blog by searching for articles about obstacles to change and found your article. Thanks for sharing your views about getting started. In my experience, I just do something, the pieces seem to come together for me then I am better able to map out what I should or should not be doing. Then, the commitment to do the things everyday which are necessary is what moves me forward. Thanks again and great to connect with you. Regards, Ross Freiberg. Thanks for stopping by, Ross. I am on the same page as you. Once I get started and allow the appropriate amount of time to pass things start to fall into place. If I can remain patient and consistent most of my ideas seem to work out. I like your quotes there. I believe in going out there for what you believe in. I am glad you were able to grow little by little. One way to make sure you don’t become an obstacle is to be more inclusive.